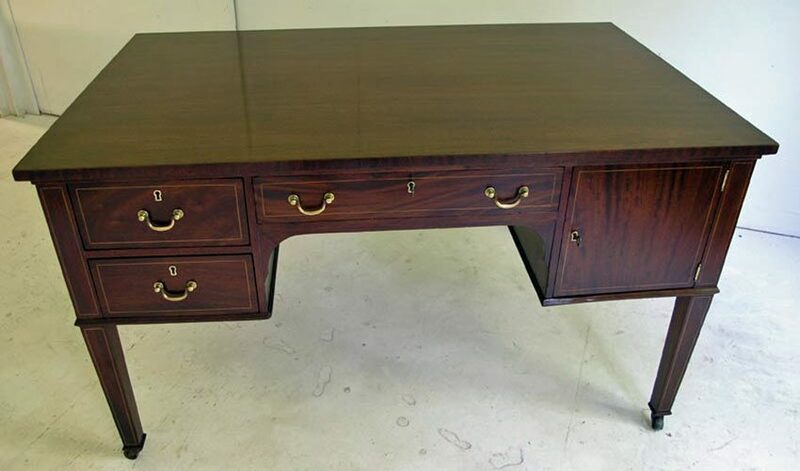 This mahogany partners desk was brought in for refinishing because of its sun bleached finish. To get started I first removed the the brass hardware and cabinet doors. The desk was then stripped, loose veneer re-glued, and missing inlay replaced. 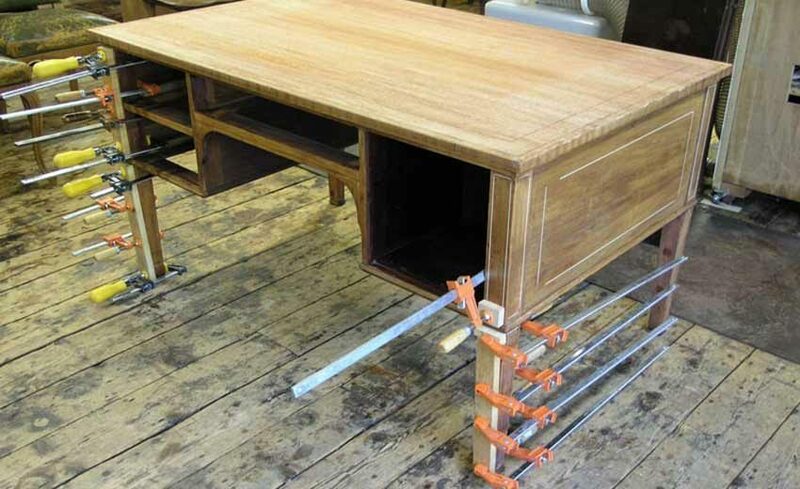 Shown below is the desk with the old finish removed, and the inlay on the legs clamped while the glue dried. Once the repairs were completed, everything was lightly sanded. 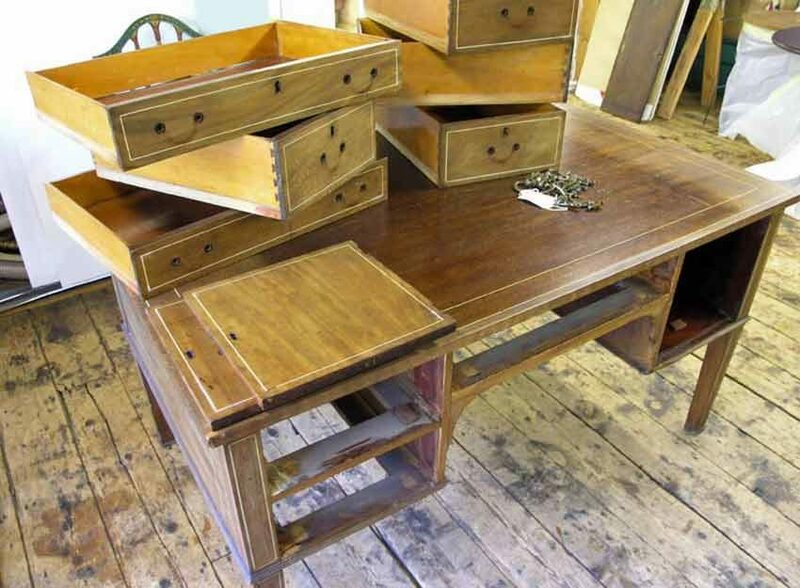 The desk was then stained to a traditional color and finished with several coats of lacquer. The new finish was then rubbed and waxed. The doors were re-hung and adjusted to open and close correctly, and the brass drawer pulls were polished and re-installed. Two new keys were also fitted for the locks. 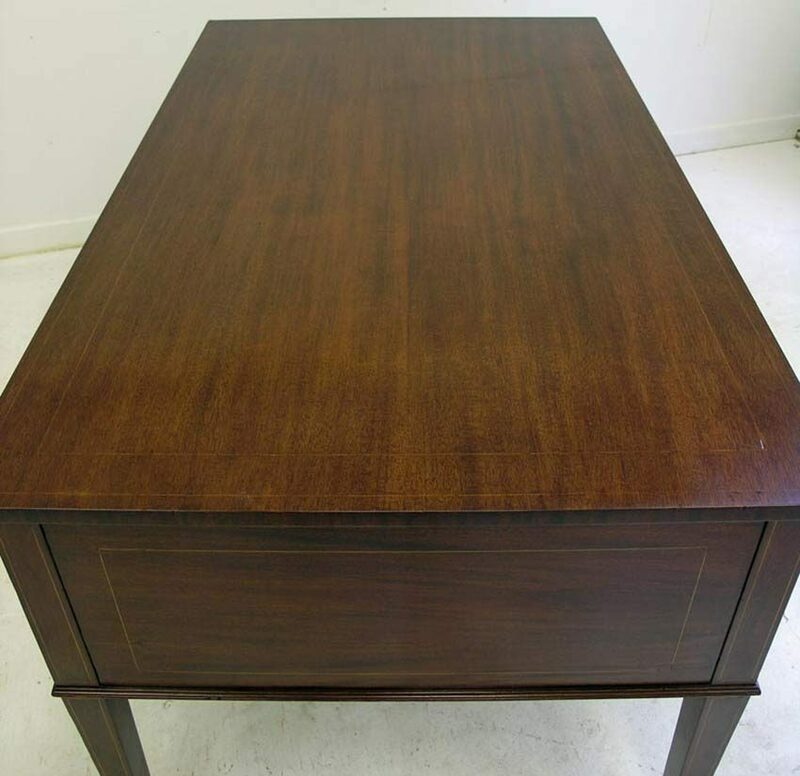 This partners desk was refinished for a Poughkeepsie NY client.